A recent review from July 2016 workshop participant. 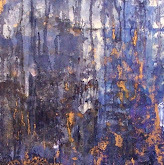 "I took a week long painting class with my mother and sister at Cristi Fer studio. I had been to San Miguel in past but this class allowed me to appreciate San Miguel in a whole new way. With the guidance of 2 extremely talented artists/teachers, Cristi and Fernando, we were able to create paintings of typical San Miguel street scenes; in addition, to gaining a greater appreciation for and confidence in the artistic process. Some of the best souvenirs a person could ask for. 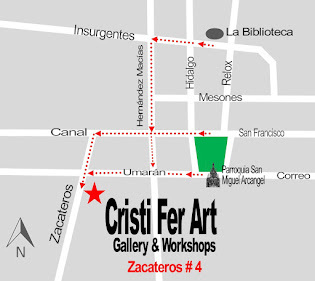 I highly recommend taking advantage of what Cristi Fer studio has to offer for your next visit to San Miguel. It was a truly unique experience beyond the typical tourist activities. If you don't have time to take a painting class, you should consider stopping by the gallery and taking home one of their beautiful original artworks."